The Mill Pond since its creation has always been an integral part of the landscape of Park Ridge. Mill Pond began as a concept in the early 1900’s when former Mayor Andrew Perry approved a local ordinance that allowed construction to begin. 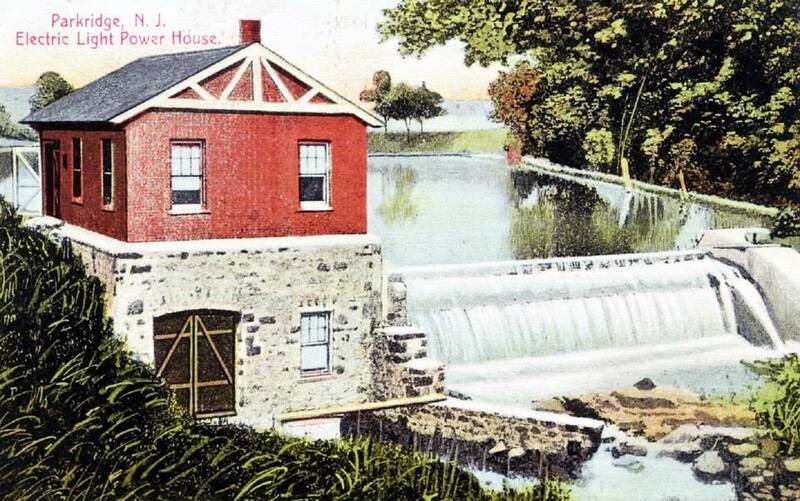 In November, 1906, the hydro generating plant was completed and put into service. Once finished, Park Ridge became the first community in the area to generate its own electricity. This improvement allowed the infrastructure of Park Ridge to grow. Street lights, public, private and commercial property all made use of the electric power that was generated. One of these commercial locations that used the power plant was the Mittag and Volger Factory located in Park Ridge that produced typewriter accessories. As demand grew so did additional funding for the generating plant. 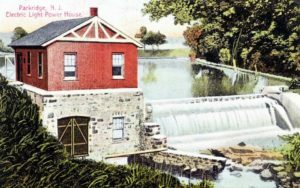 The Mill Pond was rapidly establishing itself as a defining feature of Park Ridge. Mill Pond has always been a unique body of water since its creation more than 100 years ago. Formally it is not a pond but a reservoir and it is not truly named Mill Pond but is officially mapped as Silver Lake. Some of our older residents call it “The Electric Light Pond” or “Electric Lake” from its original purpose. As time went on, improvements in technology brought changes. In 1928, the water turbine was retired and an electric motor was installed to perform pumping operations. Creating this 12-acre reservoir, dam and power plant might seem wasteful for only 21 years of operation, but Park Ridge’s gamble with electricity really paid off. The original creation of the electric poles and the distribution system allowed Park Ridge to create a unique relationship with the developing power utilities. 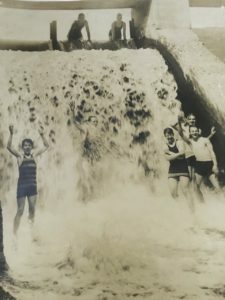 To this day Park Ridge is one of only nine towns in New Jersey who run their own non-profit electricity company and have among the lowest electrical rates in the state.